1967–Off on the SS Ryndam on a four month around-the-world study adventure. Ga Ga Dowd was the oldest student aboard. She seemed ancient, but was actually one year older than I am now. The other two girls, whom I had just met, were to be my best friends on the journey. They are Susan (in polka dots), who was also a U. of Wyoming student whom I had never met before and Pamn, from Berkeley. I don’t know why the wind chose to blow only my hair. Perhaps I had invested in less hairspray? And he said to himself, “I’ll be taking a chance. Play safe,” cried the Zoad, “I’ll play safe, I’m no dunce. Born in a time before television and the internet and even private telephone lines, (we shared ours with two other households), periodicals took on a special importance. We subscribed to three newspapers: The Murdo Coyote (my hometown rag), The Mitchell Daily Republic and Grit–a newsy national weekly newspaper. My dad subscribed to Saga, Real West, True West, Argosy and probably a few others; and my Mom got Saturday Evening Post, Journal, McCall’s and Redbook. One special feature of Redbook over the years I was growing up was that they published the poetry of Dr.Seuss. I don’t know if the poem above was ever published anywhere else, but it was one of my family’s favorites, and I think I still have it out in a plastic storage case with other old letters and paper memorabilia. It is well-worn and wrinkled and yellowed, glued to a piece of cardboard to aid in its preservation. I think I had used it as one of the poems I chose to memorize (along with “Out to Old Aunt Mary’s,” ” The Wreck of the Hesperus” and “The Children’s Hour”) when I was in grade school. I don’t know how much I actually listened to the messages of poems back then, but I do know that something prompted me not to just dream of those forks in the road but to make a decision and to take a chance. Perhaps it was this poem. Perhaps it was the fact that my parents rarely held me back when I had a chance to travel or experience something different. Well, no, they didn’t let me take the Seventeen trip to Europe when I was eleven, but short of that, they encouraged me to reach out and experience life away from the town of 700 where I lived. When I was a teenager, I traveled all over the state for district meetings for my MYF. I attended church camps in the Black Hills and Lake Poinsett and traveled by bus to a U.N. Seminar when I was a junior in high school. When it came time to go to college, I was quick to choose an out-of-state college and in my junior year again chose to travel–this time around the world on the U.S.S. Ryndaam as a student on World Camput Afloat––a university extension of Chapman College in Orange, CA. We traveled for four months, stopping in countries around the world, studying their cultures, taking practicum side trips and in some cases taking off on our own. The first country I did this in was in Kenya, where my newly met friend Pamn and I rented a little Fiat and took off on our own to have a few adventures. My sister told me afterwards that she had been the one to encourage my folks to let me go, telling them it would get the travel bug out of my system, but if you’ve been following my blog for long, you know that just didn’t happen. Immediatley after college, I emigrated to Australia and after a few years there, I traveled overland as much as possible to Africa, where I stayed for two years. After that travel was a summer and vacation experience until I moved to California thirty-five years ago and then Mexico fifteen years ago. At each of these junctures, there was a fork in the road of my ife and each time, I made the decision and took it. Nine times, by my own counting, and in that time, although I’ve split a few pants seams, it was more due to local cuisine than to indecision. This entry was posted in biography, College memories, Essays, Leaving, Travel, Travel Stories, Uncategorized, youthful dreams and tagged 1967, College memories, college stories, Daily Post, Daily Prompt, Fork in the road, photo of New York City skyline, taking chances, travel, World Campus Afloat on May 27, 2016 by lifelessons. through a piece of driftwood, a stone or shell. a shadow glimpsed crossing a window shade. from one I cast behind. to catch up to what I’ll never catch up to. what I can only keep by walking away from it. each of us seeing it through our unique lens. without further effort on her part. nestled in a pile of kelp. That longer leaving is just a new adventure. 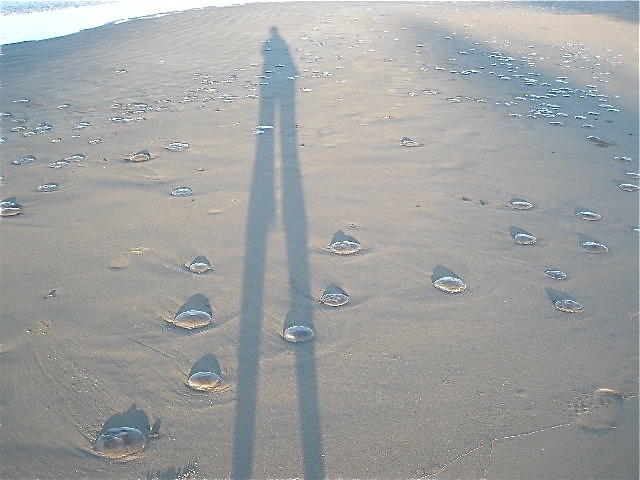 This entry was posted in Beach, Collecting, Daily Post, Daily Prompt, Death, Leaving and tagged Aging, Beach, Collecting, Daily Post, Daily Prompt, Death, Judy Dykstra-Brown, Judy Dykstra-Brown poem, Judy Dykstra-Brown Poetry, leaving, Shadows on January 13, 2015 by lifelessons.